DANGER ZONE. The local government has identified 720 families from nine communities that include the settlement known as First Gate in Brgy. Ucab, Itogon. BAGUIO CITY — The head of the geosciences agency in the Cordillera announced on Tuesday, November 20 that assessment on the viability of the area picked by Itogon is nearly complete. Director Faye Apil of the Mines and Geosciences Bureau-Cordillera Administrative Region said she has not seen the report but assured the media it will be out within the week. “When they identified the location, they [Itogon officials] asked our help to validate these areas if they are geologically safe for residential purposes,” she said. The director pointed that results may indicate that some of the areas identified by local government are safe while others may not pass their evaluation. She also pointed that geohazard assessment of Itogon is completed and utilized by the local government in identifying the communities to be relocated. However, Apil believe that it is up to the company to reveal the tunnel map, saying that they are included in the mine closure and rehabilitation plan for the Antamok mines. “Folk in Itogon are more knowledgeable than us on the location of the tunnels because they have been entering those tunnels and making them passage ways for their small scale mining activities,” she said. Meanwhile, residents who in the declared danger zones said they support and abide by the decision of the authorities to transfer their dwellings. During a press briefing on November 22, Genera Afidchao from the Small Scale Miners Alliance and among those staying at the evacuation center said the LGU is yet to discuss the details of the relocation program. She also shared that there are organizations who expressed their readiness to provide shelter assistance. However, they cannot comply with the requirements. “Those offering are looking for lands with titles and outside geohazard zones, but we don’t have titled lands and most of the town are landslide prone,” she said. 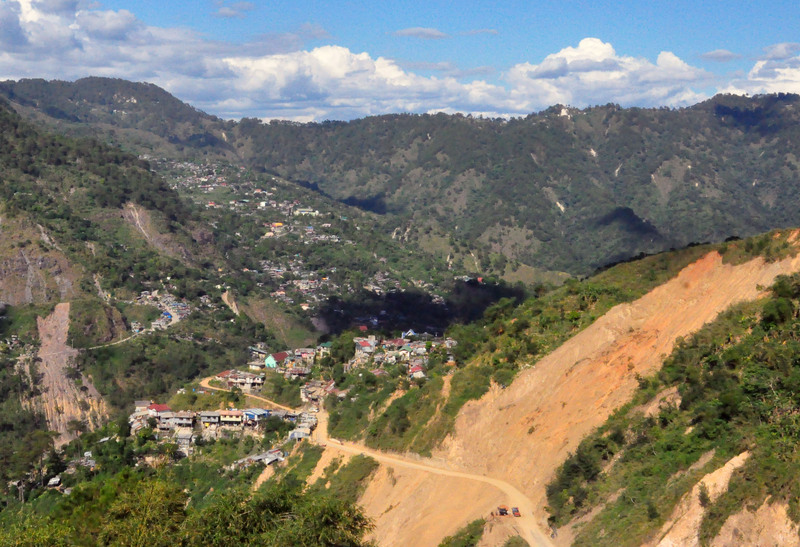 The Department of Environment and Natural Resources (DENR) Cordillera last month asked Benguet officials to relocate the communities located inside the “critical zone” in the geohazard map of Itogon. Areas identified by the officials for the relocations are 070, First Gate and Otek in Ucab, Colombia, Four Terrace, Dampingan and part of Luneta in Loakan, Tipong in Ampucao, and Surong in Gumatdang. The towns received P20 million from the National Housing Authority for the resettlement of families whose houses are within the ‘no build zones’.